Fracture allows you to paint cubist style portraits using your own photos. Aesthetics employed by abstract masters such as Pablo Picasso and Georges Braque have been studied and recreated in this fun creative app. Simply use your camera or search your image gallery for 1 or more photos, adjust the settings to your specification and you are ready to start painting. The following features are available Multitouch Accelerometer Shake to clear Save your painting to your image gallery Send your best paintings to fracture@augmatic.co.uk to be featured in the Flickr gallery http//www.flickr.com/photos/fractureapp Head over to http//bit.ly/fractureapp To see footage of the app in use. Built using openFrameworks. 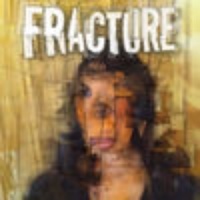 Check these links to find your download for Fracture for & iOS or for your device iPadiPhoneiPod Touch. The app Fracture is compatible with te following devices.